Marie Moran (nee Breznan), 94, of Elyria, died Wednesday July 25, 2018 at Avon Oaks Nursing Home after a lengthy illness. She was born February 23, 1924 in Fairpoint, Ohio and had resided in Elyria most of her life. Marie graduated from Lorain High School in 1942. She was a member of St. Nicholas Byzantine Rite Catholic Church in Lorain and the Greek Catholic Union #77. She loved caring for her children and had served as a room mother at Cascade School in Elyria. She enjoyed baking, cooking, sewing, embroidery, reading, gardening, good music and fine movies. She is survived by her children: Michael (Rhonda) Moran of Eugene, Oregon, Mark (Elizabeth) Moran of Eugene, Oregon, Bill (Sharon-deceased) Moran of Elyria, Matthew (Michelle) Moran of Amherst, Lisa Knipp of Akron, Phillip (Marilee) Moran of Burlington, Wisconsin, Nathan (Barbara) Moran of West Seneca, New York, George (Josie) Moran of Timonium, Maryland and Jonathan (Carol) Moran of Virginia Beach; daughter-in-law Stephanie Moran of Oberlin; 20 grandchildren; 13 great grandchildren; 1 great great grandchild and sister Magdalyn Potts of South Amherst. 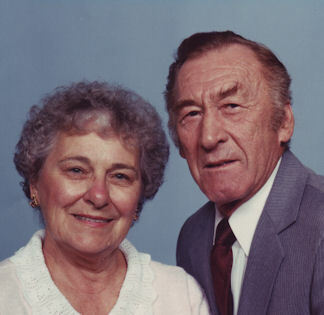 She was preceded in death by her husband of 73 years George Moran in 2016, son Edward James Moran, daughter Monica Quintin, parents George & Mary Breznan (nee Breznenik) sister Mildred McCallister and brothers John, George and Milan Breznan. The family will receive friends Sunday July 29th from 4:00-7:00 pm at the Gluvna-Shimo-Hromada Funeral Chapel, 3224 Broadway Ave, Lorain where the Parastas Service will be held Sunday at 6:30 pm. Panachida services will be held Monday July 30th at 9:30 am in the funeral chapel followed by the Divine Liturgy at 10:00 am at St. Nicholas Byzantine Rite Catholic Church, 2711 W 40th St, Lorain. Marie’s brother-in-law, Archpriest Michael Moran JCD and the Very Rev. Nicholas Rachford, pastor of St. Nicholas Byzantine Rite Catholic Church, will preside. Burial will follow at Calvary Cemetery in Lorain.